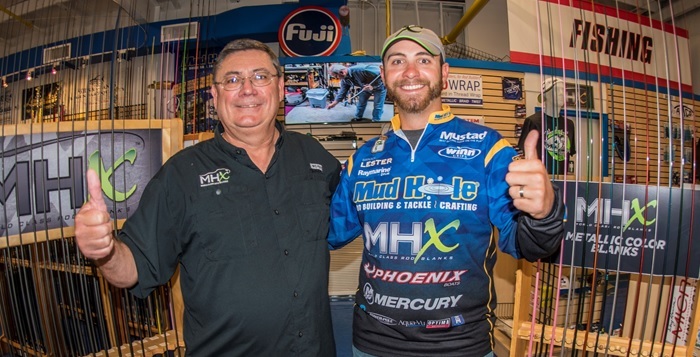 Oviedo, Florida – December 7, 2016 – In preparation for the upcoming Bassmaster Elite Series, Pro Angler Brandon Lester agrees to new deal with Mud Hole Custom Tackle and we are proud to continue supplying, supporting, and succeeding alongside him. Although Brandon Lester is from Fayetteville, Tennessee, he spent most his time growing up on Tims Ford Lake catching bass and having a blast doing it. At a young age, Lester began to learn the values of fishing and likewise, the outdoors from his father and grandfather. With each passing fishing or hunting trip, his passion and appreciation of the outdoors grew. After his sixteenth birthday, Lester took his talents to competitive fishing and entered his first bass tournament on the very lake he liked to call home. Brandon Lester kept fishing on the local club level throughout high school until he became a founding member of the Mocs Bass Fishing Team at the University of Tennessee Chattanooga. It didn’t take long for Lester to fall in love with the grind inherent in competitive college fishing. Once he completed college, Brandon decided to make the push for a career in professional bass fishing and quickly saw his dreams come true. After only two seasons in the Opens, Lester won the Southern Open Points Championship to qualify for the Bassmaster Elite Series. Like most competitors, Brandon Lester was happy, but he certainly wasn’t content. He continued to surprise critics by qualifying for the Classic in both his first two seasons in the Bassmaster Elite Series. 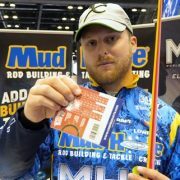 Considering Lester is only 28 years old and has fished in 45 total Elite Tournaments with 35 top 30 finishes that put him in money 24 times, both his career and future with Mud Hole are brighter than ever before. 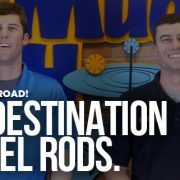 Brandon Lester and custom rod building are a match made at Mud Hole. 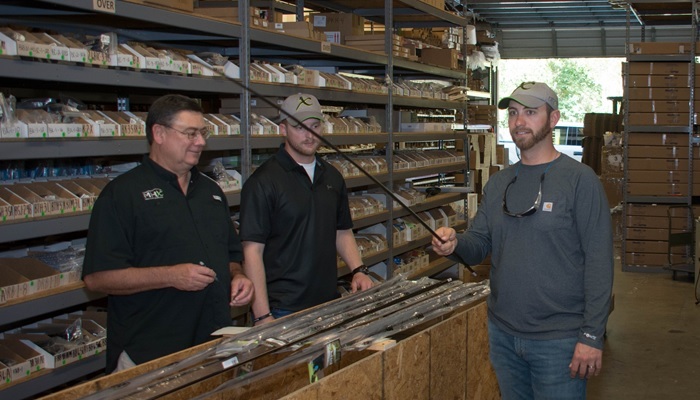 With over 45,000 SKU’s all under one roof, Mud Hole bolsters Lester’s broad bass fishing skills with an incredible amount of resources. Mud Hole’s top priority is to keep Lester equipped to continue catching bass across the nation. Mud Hole Pro Brandon Lester tests a blank alongside fellow Mud Hole Pro Bradley Roy and Bob McKamey. Brandon Lester is a master of adapting his techniques to his fishing conditions. He has demonstrated the skills necessary to switch from power fishing to finesse fishing repeatedly over his career however, he can’t always do it alone. At Mud Hole, we are the world’s largest supplier of rod building components and gear with over $15 million of inventory fully stocked onsite. As a 15,000 square-foot office and distribution center, we work tirelessly to earn the loyalty of rod builders and anglers alike. 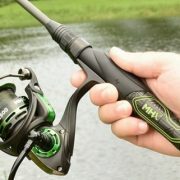 No matter the fishing interest or application, chances are we have the knowledge and equipment to help. 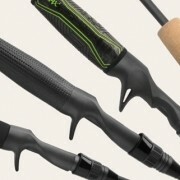 For Lester, custom rod building not only fine tunes his fishing rods, but also allows him to maintain the same feel for rods despite their vastly different applications. 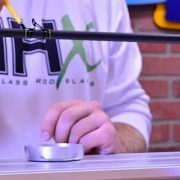 This essentially means that Brandon can have the power to throw a swim bait and the precision for a drop shot without ever sacrificing his feel for the rod during the transition between fishing applications. 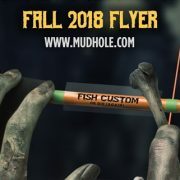 Renewing our title sponsorship deal, not only will Brandon Lester fish custom rods, but he will also continue to dawn the signature blue and yellow of the Mud Hole jersey and boat wrap. Between Brandon’s bass skills and Mud Hole’s endless resources, our partnership is destined to catch a whole lot of fish and look awesome doing it.